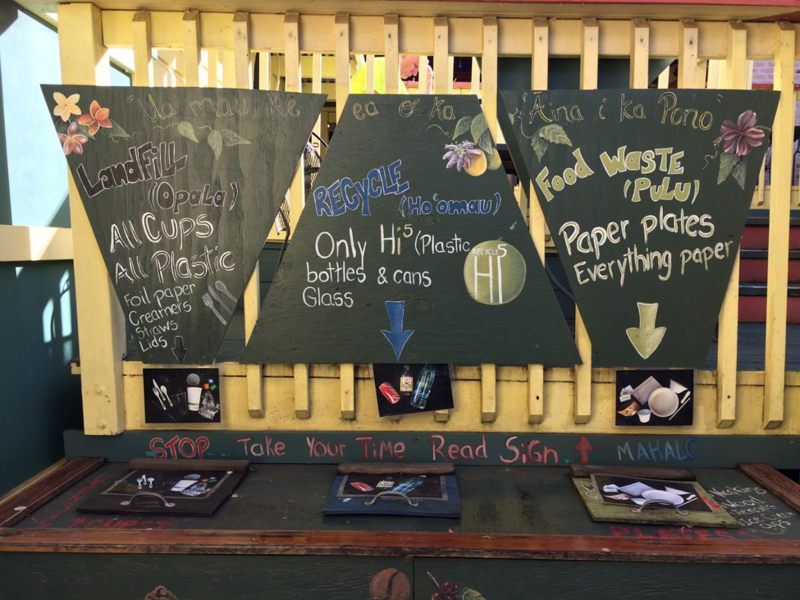 On a recent trip to the Hawaiian islands, I noticed many environmentally friendly steps residents are taking across the state, from the widespread use of solar panels to signs all over promoting sustainability practices. Businesses, individuals, and the government are currently working together towards a clean energy economy as the Hawaii State Energy Office has set a target for the state to achieve 100 percent renewable energy by the year 2045. The Hawaii Green Business Program recognizes businesses that are striving to implement sustainable practices. The program, a partnership between Hawaii’s Department of Health; Department of Business, Economic Development, and Tourism; and the Chamber of Commerce of Hawaii, assists businesses in various areas including waste reduction, pollution prevention, and energy and water conservation. This park has the state’s largest public rainwater catchment system, in operation since 1929, providing 5.5 million gallons of drinkable water per year for visitors and staff. The raw water is pumped through a treatment system, purified into drinking water by large sand filters, and then distributed to 56 facilities around the park. Hawaii is right behind California, ranking second in the country in the number of electric vehicles registered per thousand people. The Hawaii State Energy Office has created the mobile application “EV Stations Hawaii” to assist drivers in finding publicly available charging stations statewide. There are currently several green driver incentives offered by the state to encourage the use of electric vehicles. The Hawaiian Electric Company, which is the electricity provider for 95% of Hawaii’s population, has set a goal to triple the amount of distributed solar power by 2030. Although the state is heavily dependent on oil for its electricity generation, use of renewable energy has been on the rise in all counties, and the state is a national leader in rooftop solar power usage. The Hawaiian Electric Company is also behind the Smart Power for Schools program, an initiative to educate Hawaiian youth about renewable energy technologies and sustainability. The program works in partnership with the State of Hawaii Department of Education and community members to assist in smart grid technologies and energy management and efficiency strategies to reduce electricity use in Hawaiian schools. It has been in place since July 2015 and succeeds the Sun Power for Schools, which started back in 1996 to promote the knowledge of renewable energy in the state. The 2018 Planet Forward Summit: Thanks for joining us!